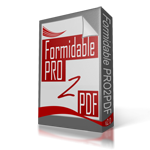 I set the Formudablepro2PDF to crate a simple pdf containing data from two fields in one form. The problem is that each pdf created with the plugin contains the same data from the first entry submitted with this form. I can submit many next entries with totally different informations and the PDF will still be populated with the same data from the first entry. It behaves like it didn’t see any other entries but the first one. Our apologies for the delay in responding to your request.